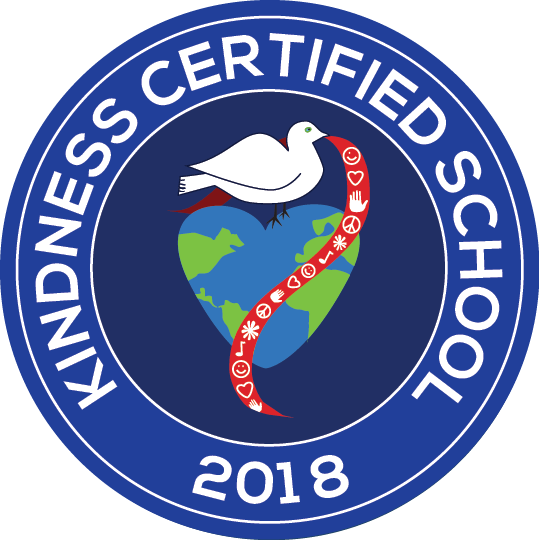 Because of your school's participation in The Great Kindness Challenge, we are thrilled to acknowledge you as a Kindness Certified School. Below, please find your certificate and seal to share far and wide. You may post this on your website, in your school's promotional materials, or any other desired location. No frame and word versions of the certificates are also available on the GKC tools page. Drumroll please!!! We are thrilled to present the 1st Kind Coins for Hurricane Relief Playground built at Bales Intermediate School in Friendswood, Texas! The Friendswood community and students are bursting with pride and joy as they reveal the new playground. It truly is a special place that not only will help the community heal, and provide students with everyday joy, but also serves as a symbol of the unity, kindness, and generosity that YOU showed. Thank you to all the students, families, and schools for making this possible! Let's Keep The Kindness Going! Let's Build The Remaining 3 Playgrounds. Seeing all the joy and the difference a new playground has already made for the Friendswood community, we are fired up to continue with the kindness momentum and are determined to build the 3 remaining playgrounds in Puerto Rico, Florida, and Louisiana. 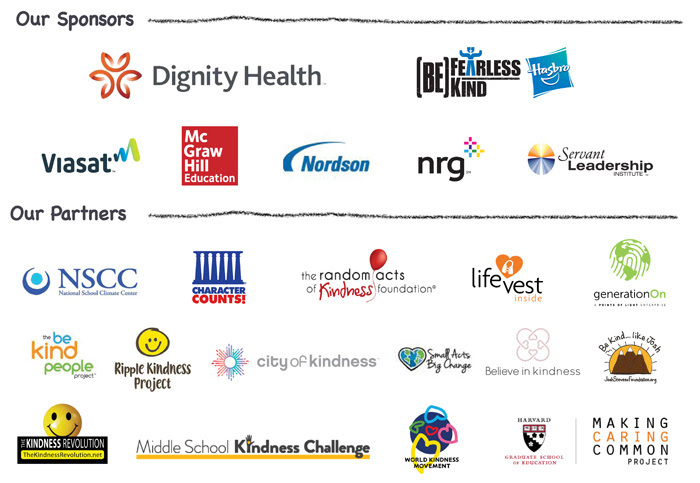 With YOUR generosity, plus with the support of our friends at Hasbro who are helping us “double-down on kindness," we know we can do it! The Hasbro Children’s Fund will match every dollar we raise through the Kind Coins for Hurricane Relief program through February 15th, up to $100,000! Let's do it! P.S. If you need more time, please contact us. Your students are at the forefront of the Kind Coins for Hurricane Relief campaign, and are truly making a difference by bringing healing and joy to the communities so severely impacted by the 2017 hurricanes. We want to share your KINDNESS and inspire others to join this important cause. Please send your #KindCoins photos to Kirsten@KidsforPeaceGlobal.org and we may proudly feature them in our gratitude video. Thank you for helping us amplify the impact as we build ALL 4 playgrounds at hurricane-affected schools. 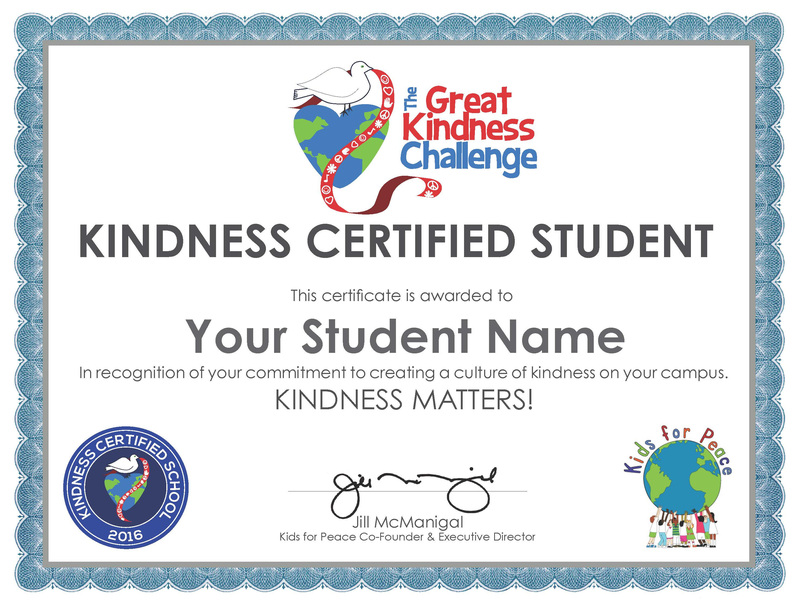 Your engagement in this year's Great Kindness Challenge, the abundance of photos, social media activity, and the media stories showcasing your kindness have been beyond spectacular! Witnessing the love, kindness, and youth empowerment at your individual schools made us feel a part of your community and showcased the AMAZING work that you are doing to create a culture of kindness. Thank you and please continue sharing! We will be honored to include your creative, kind ideas in our 2019 GKC toolkit! We are excited!